Pittsburgh’s parks — created between 1889 and 1927 — have traditional designs, said Susan Rademacher, curator for the conservancy. “They come out of an era when nature was the rule.” As the city’s steel mills closed in the late 1970s and early ’80s, Pittsburgh’s taxpayer-funded parks fell into neglect. By the early 1990s, trails were paths for sewer overflows and dilapidated park buildings were slated for demolition. Beginning in 1995, the city gained revenue for the parks from the Allegheny County’s 1 percent addition to the sales tax. Since then, the sales tax has generated $67.7 million in revenue for upkeep of the city’s big parks. In the mid-1990s, [Meg] Cheever, of Shadyside, gathered friends to suggest forming a group to care for her favorite park, Schenley. Then-Mayor Tom Murphy gave the go-ahead, but asked the group to include the three other parks. The conservancy grew to 14 full-time staffers and has completed more than $37 million in restorations, ranging from the Schenley Park Visitor’s Center to Highland Park’s Victorian entrance garden. The conservancy has a $114 million master plan covering the four major parks, but no project is started without full funding. 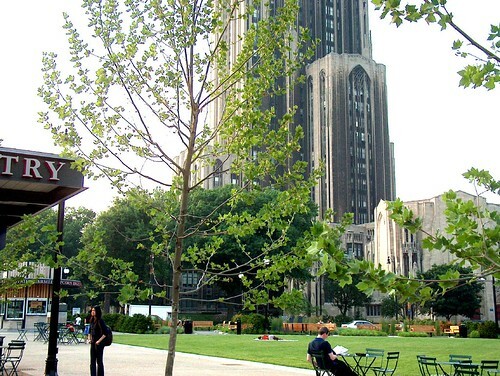 Pittsburgh may have a ways to go in its recovery from post-industrial doldrums, but parks are playing a big role in turning the city that was “hell with the lid off” during its steel production years into America’s Most Livable City.